which symbol is the path? 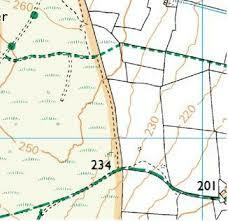 Have you ever tried to follow a path on the map but got confused as you couldn’t see it in the landscape around you? A common mistake that people make is that they don’t understand what the symbols on their map actually mean. Take the map above for example on which there are several symbols that might confuse the unwary navigator. These are actually a Civil Parish boundary; an imaginary line separating two Parishes that has nothing to do with paths on the ground! This is the symbol for a path that exists on the ground. 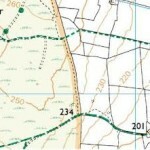 But be careful with this as there are also lots of paths on the ground made by sheep or deer for example that aren’t shown on the map! This is a Public Right of Way (footpath). And this is where a lot of people slip up as the symbol is a political designation (i.e. by law you have a legal right to be there) but it does not mean that there will always be a path on the ground. 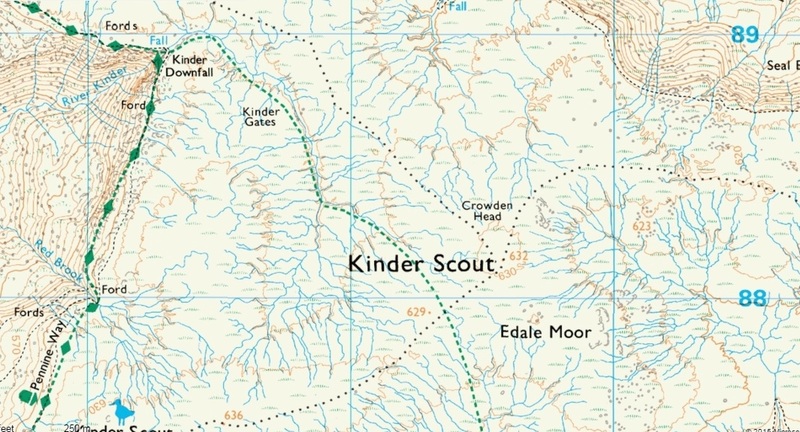 Anyone who has tried to run or walk across Kinder Scout following the public footpath symbol will know that the “path” doesn’t exist. So with all these things to confuse you how do you make sure that the path you’re on is the one you want to be on? Whilst paths may come and go due to animal and human feet, the shape of the landscape will remain. A hill will always be a hill, a valley likewise. So if your intended path is supposed to take you downhill and you find yourself running on the flat, stop – something isn’t right. Look at the direction that you want to be going and check that you are actually going that way. 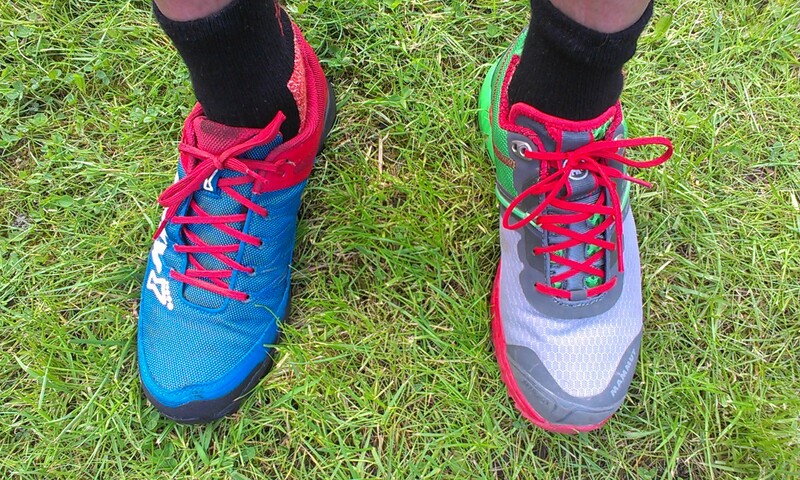 It is all too easy to run along a path that gradually changes direction. If you should be going north and you’re not, then again something is wrong! 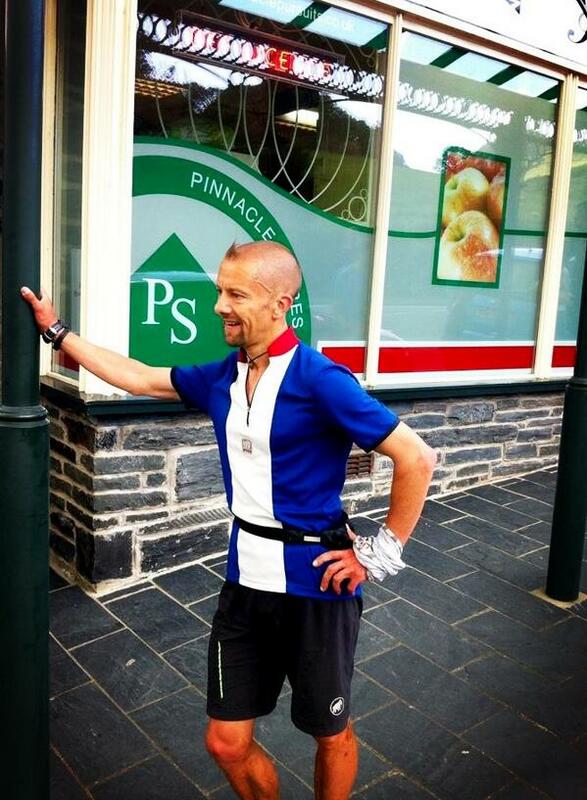 Too many runners stick their compass in their bumbag only to get it out when they are lost.. too late! Keep it handy and check that the direction you’re running is the right one! I thought you said there was a path! 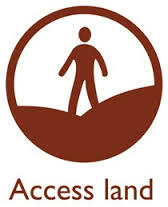 If you are on Access Land then you have a legal right to roam anywhere – you don’t have to stick to public rights of way. 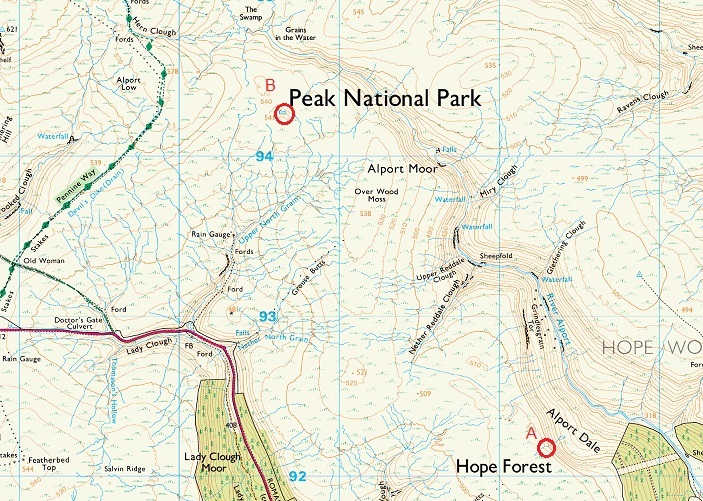 This is shown by the thick beige line on the map and the symbol on gates or stiles. So the moral of the story: Just because you’re on a path doesn’t mean it goes where you want to go! 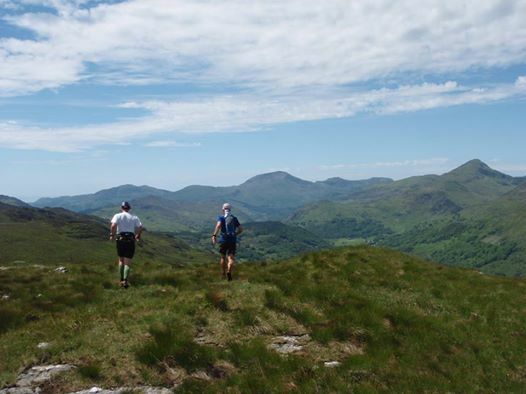 Do you need to improve your navigation skills? Click for more information about my Navigation Skills Courses. 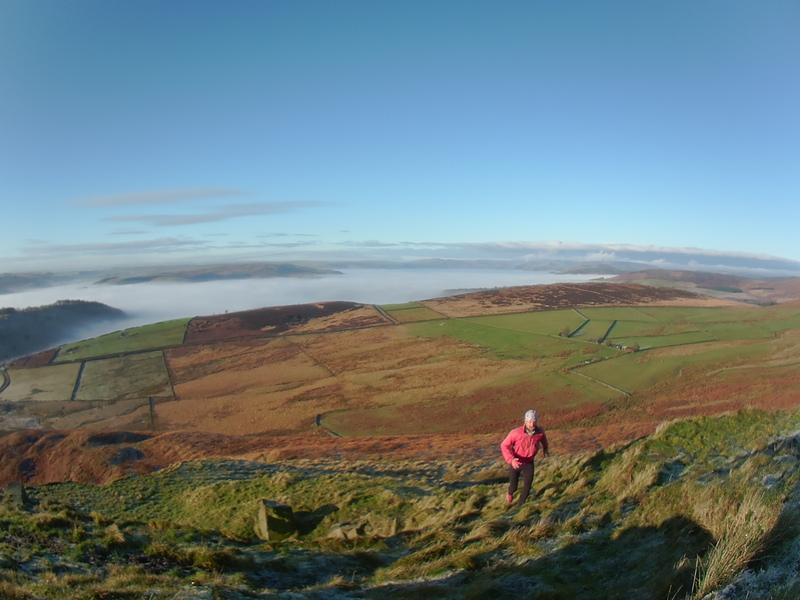 Here’s a taste of the type of challenge I set on my Navigation for Runners courses. 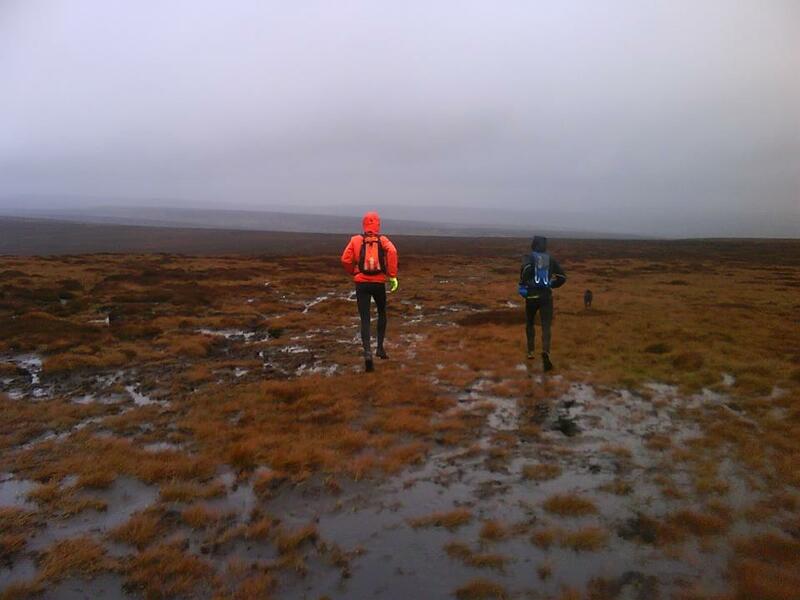 Runners were tasked with getting from point A to point B; a tiny pond high on relatively featureless moorland. The pond is only visible when you get within 20 metres of it and there are no paths to follow! For anyone who knows the area there are lots of small “groughs” that look like streams but aren’t always shown on the map making it difficult to know exactly which stream is which so you need some precise skills to find the pond! Visibility on the day was about 5km. What strategies would you use to navigate to the pond? Have a think about what you would do and then click on the video below to see how we did it. 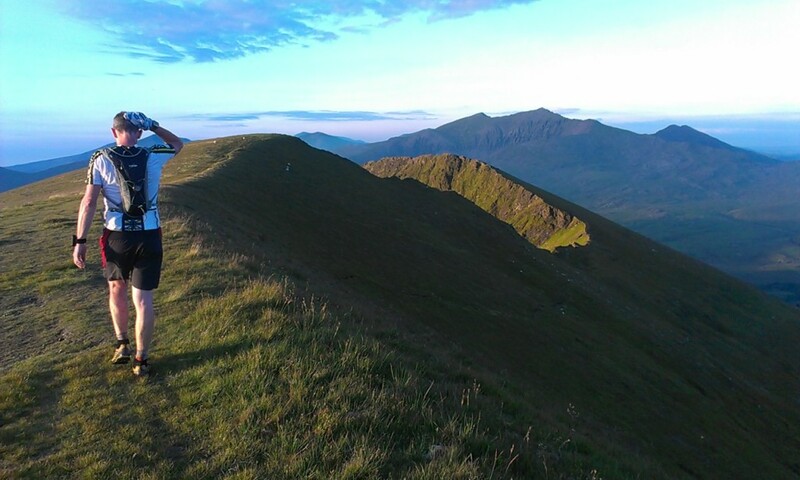 If you would like to improve your navigation skills check out my upcoming courses here. 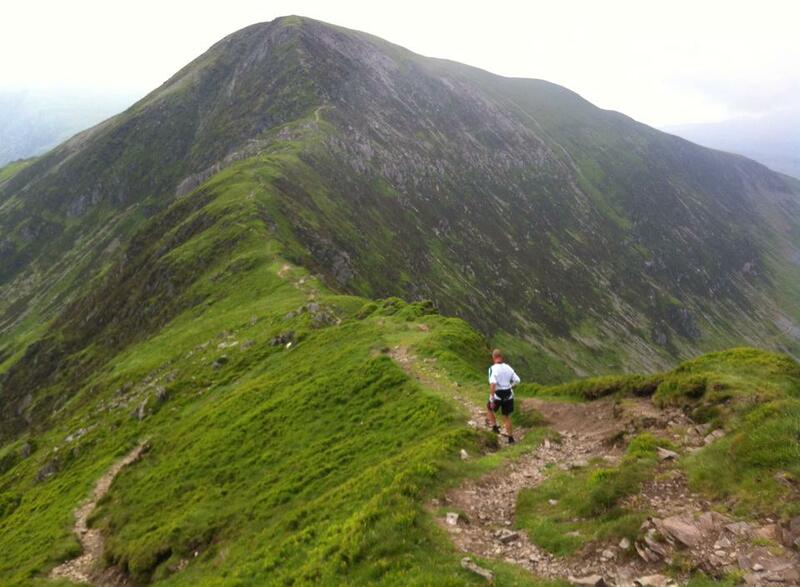 We all know that fell running in hot weather is hard work; we heat up, we sweat and need to rehydrate. But what about in winter? 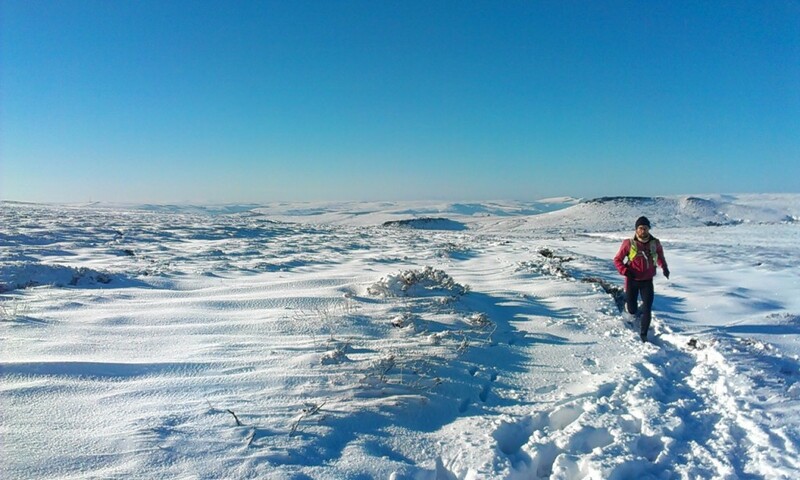 It’s just as important to stay properly hydrated whatever the weather but in winter when it’s cold we don’t have the same psychological and physiological triggers telling us to drink. In cold, dry weather sweat evaporates quickly and so we might not notice how much we are sweating and because we don’t feel hot there is less urge to drink. Some scientific studies have also shown that in cold weather as the body shuts the blood supply to its periphery, the urge to drink is reduced. There’s also a phenomena known as cold diuresis where the body increases the production of urine as it gets cold which in turn can increase the risk of dehydration. In cold, dry conditions the air that is breathed in gets warmed and humidified during respiration so every breath out robs the body of a tiny bit of water. 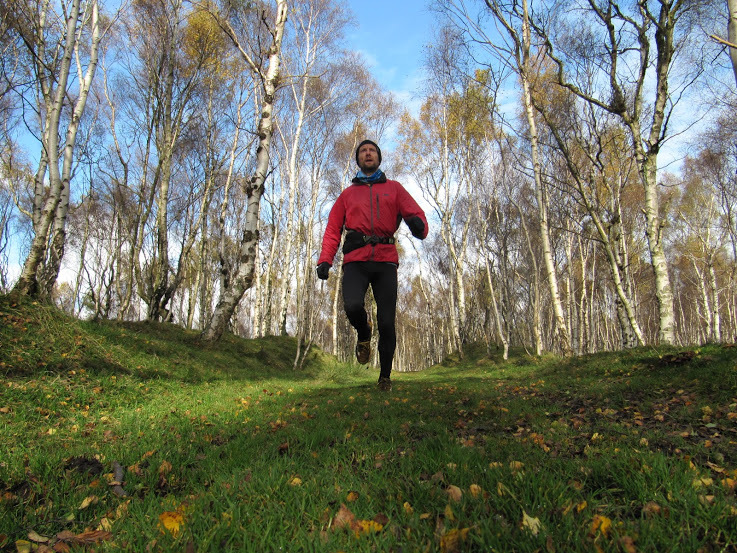 This all adds up on long runs, especially when you’re breathing hard. 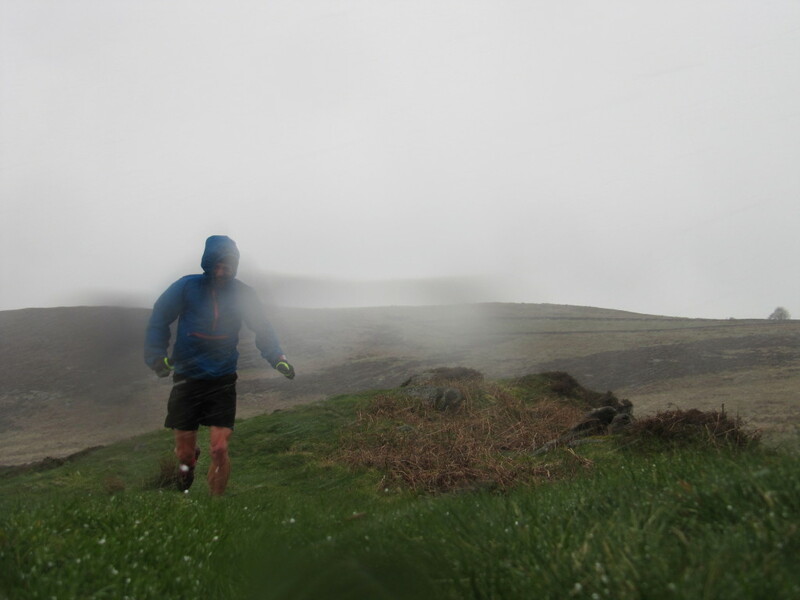 It doesn’t need to be hot to make you sweat; if you’ve ever run in the rain wearing a waterproof jacket and complained that it’s leaking, that’s actually sweat that hasn’t been able to evaporate. Likewise when you take your backpack off you’ve probably noticed a “sweaty back” even on a cold, winter day. Again this is a sign of how much fluid we lose even in lower temperatures. 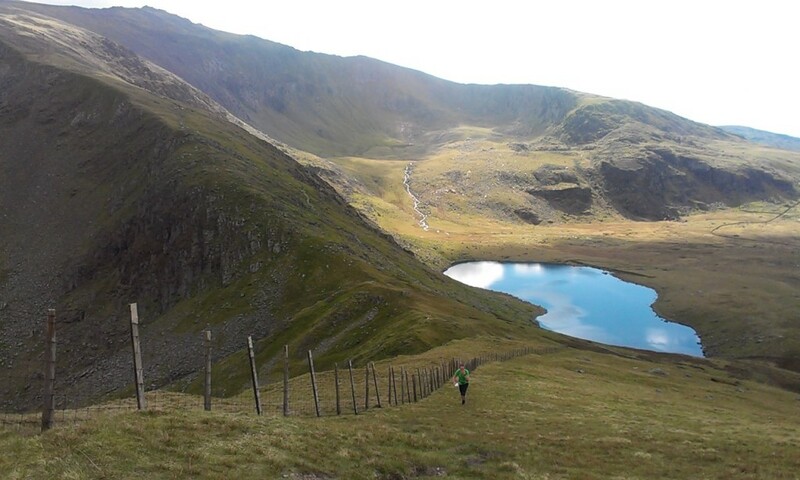 Extreme dehydration is dangerous but even in the early stages it has a detrimental effect on performance, causing you to slow down and increasing the feeling of fatigue. 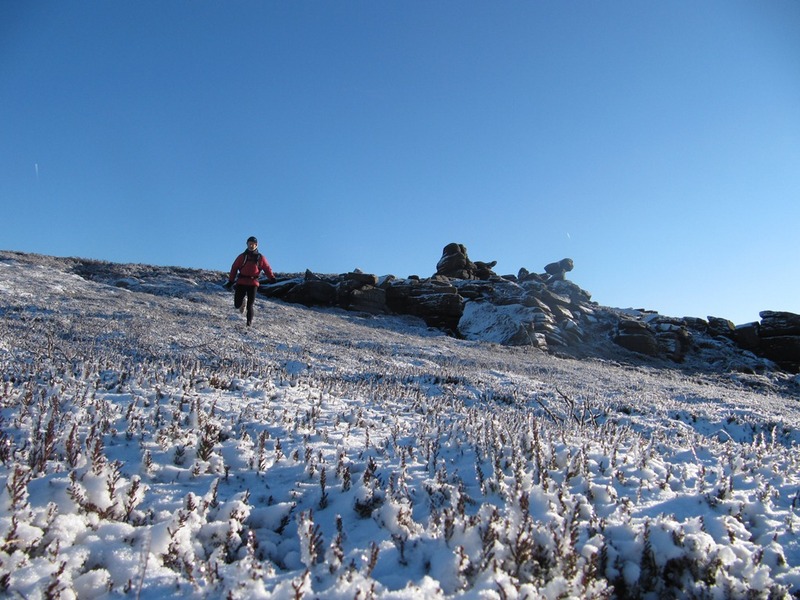 So it is apparent that drinking during your longer winter runs is just as important as it is in summer. 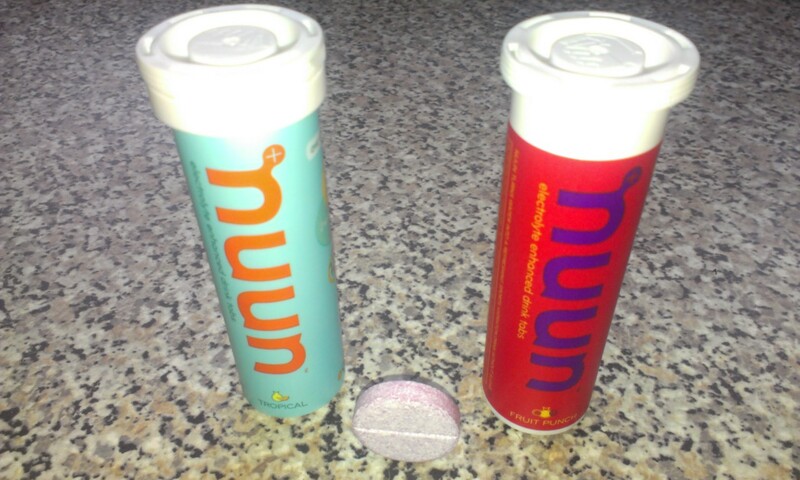 I like to use Nuun electrolyte replacement tablets for both summer and winter hydration. 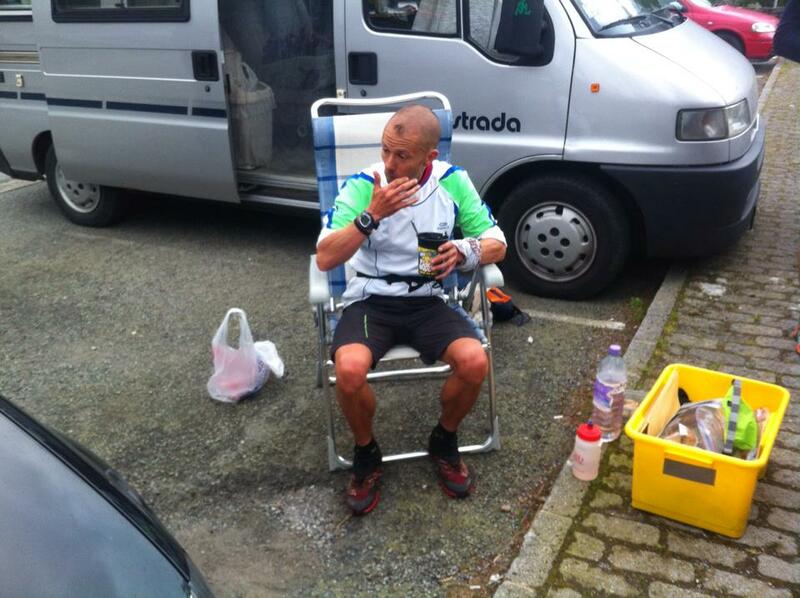 The tablets dissolve quickly and are easy to break in two to fit into narrower necked hydration bladders. They come in a range of flavours that aren’t too overpowering and unlike high sugar carbohydrate drinks aren’t sickly sweet. The added electrolytes are important, especially for very long runs and are another reason why I prefer them to carbohydrate only drinks. There are several ways to carry your drink, each has advantages and disadvantages and different people have different preferences. I like to use a bladder in a backpack so that I can keep sipping with minimal disruption and because there is no air in the bladder the contents don’t slosh around as it empties. 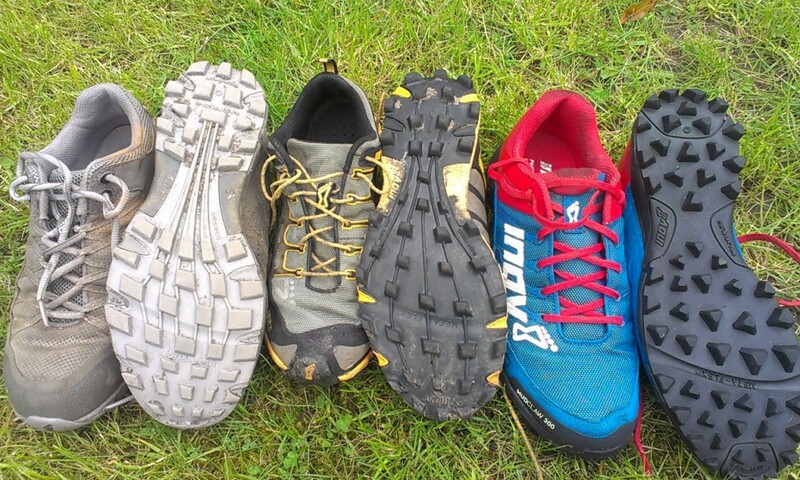 However the downside of this is if you plan to refill the bladder during your run (as in an Ultra distance event) it can be a tricky and time consuming process, particularly with a narrow necked bladder. In this case a wide necked plastic bottle might be better as it will be much easier to access and quicker to refill. 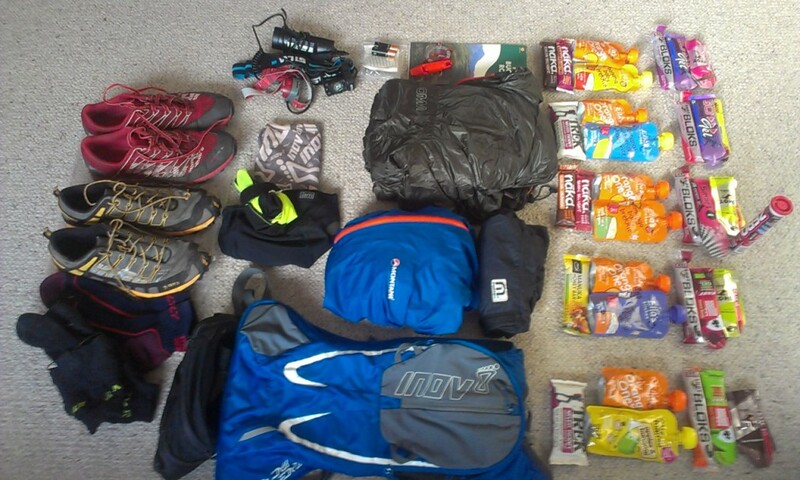 Some rucksacks are designed to carry bottles on the front shoulder straps which are easy to use, but for me, annoying when they start to slosh around when half full. I also find them a bit heavy and uncomfortable when full. backpack with bottle holder, prone to sloshing! 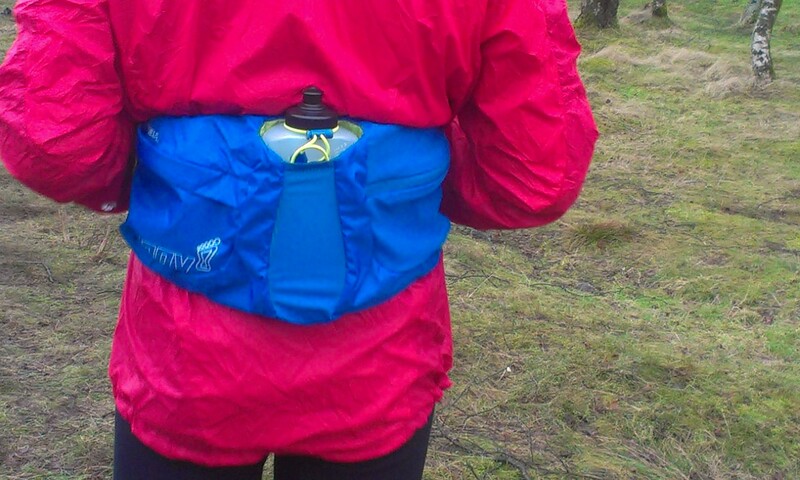 Alternatively you could use a bumbag designed to hold a water bottle. You need to either reach behind you or more realistically spin the bag round to remove and replace the water bottle. I don’t really like this method if I’m likely to be running fast as I find that it makes the bumbag more prone to bouncing up and down. For some shorter runs or races when I only want to take a small amount of drink I will reuse a baby food sachet, cleaned and then filled with my Nuun drink. Carried in my bumbag this gives a few mouthfuls of liquid, just enough to get me round. You could even run carrying a water bottle in your hand. 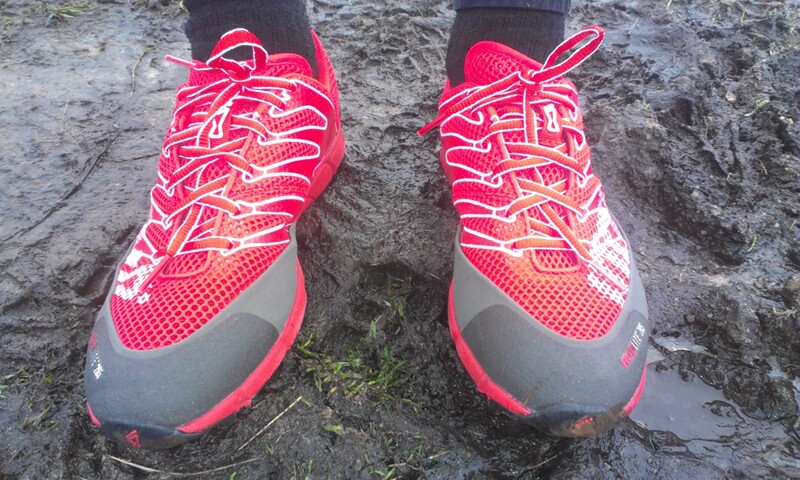 There are bottles designed specifically for this but for me it is a big No No for a number of reasons: It disrupts your running style, it is uncomfortable, it hinders you from using your hands to do anything else (e.g. check your map, open a gel etc). I think that if your run is short enough that carrying a bottle won’t annoy you then it is short enough not to need a drink. 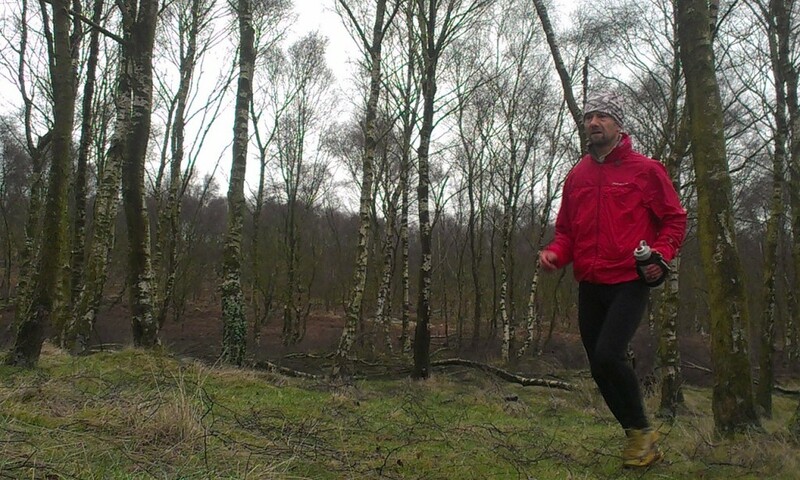 If it’s long enough that you will need a drink then find a more efficient way of carrying it and let your hands swing freely in an efficient running style! 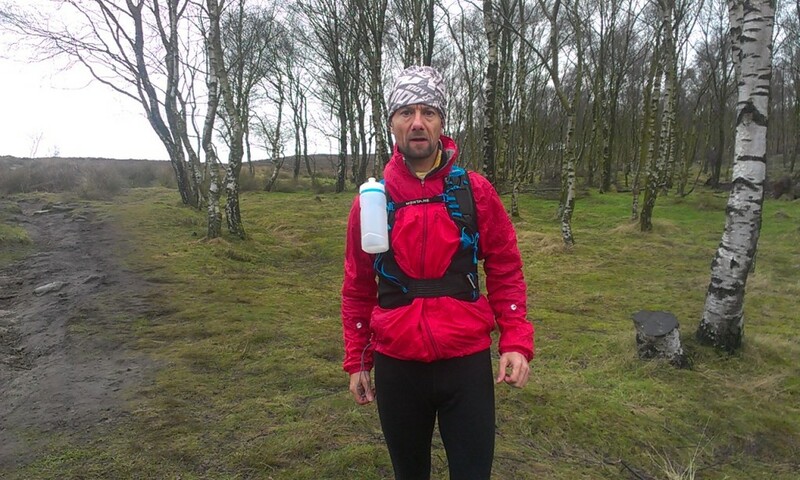 running whilst holding a water bottle – why? 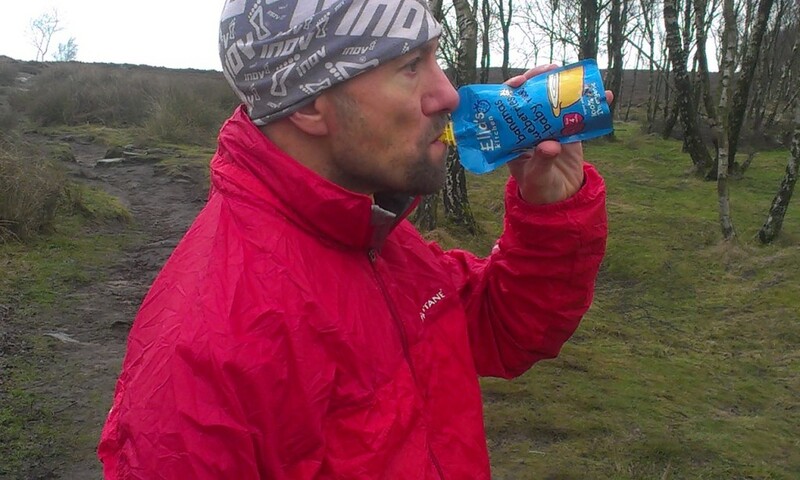 I always ensure that I am fully hydrated before a long run or race in order to delay the onset of dehydration and then sip frequently during the run. I find that little and often is better than glugging loads down at once. 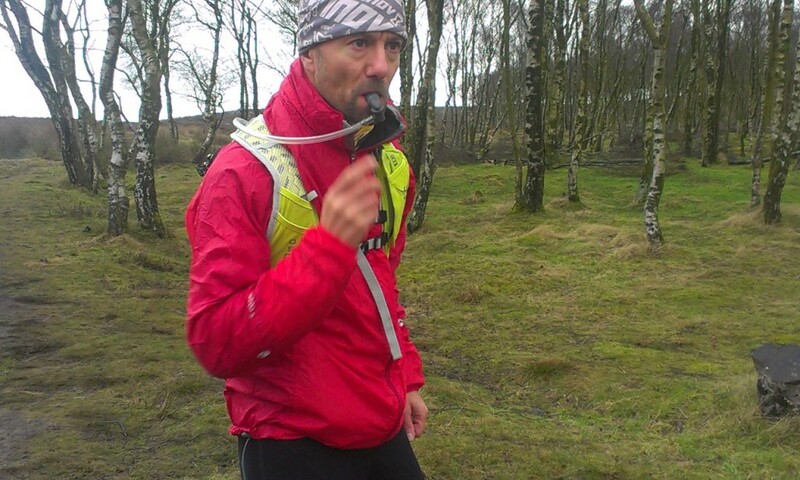 So whatever your chosen method of carrying a drink, remember that rehydrating on your longer runs is important even in winter. Using electrolyte replacement tablets such as Nuun in your drink is an effective way of preventing dehydration and the associated decrease in performance. 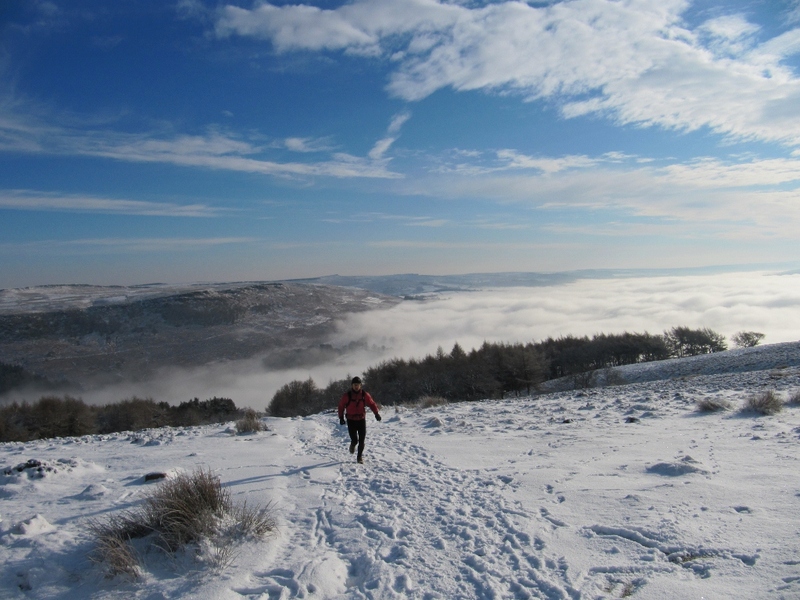 Bearing that in mind you can get out and enjoy your trail and fell running this winter – happy hydrated running! It’s mid November, the sky is monotone, the landscape leached of colour as if nature is restricted to a drab palate with which to paint her surroundings. Heavy rain and strong winds sweep in from the south, the ground is heavy, sodden and summer’s golden rays have long faded. Running on a day like today just doesn’t inspire me, there is little aesthetic pleasure to be had, no urge to linger and drink in the sights and sounds around me. Instead I speed up, not wanting to spend any more time than absolutely necessary in this environment. My gaze is restricted to the few metres immediately ahead of me, head bowed into the wind, squinting against the lashing rain. 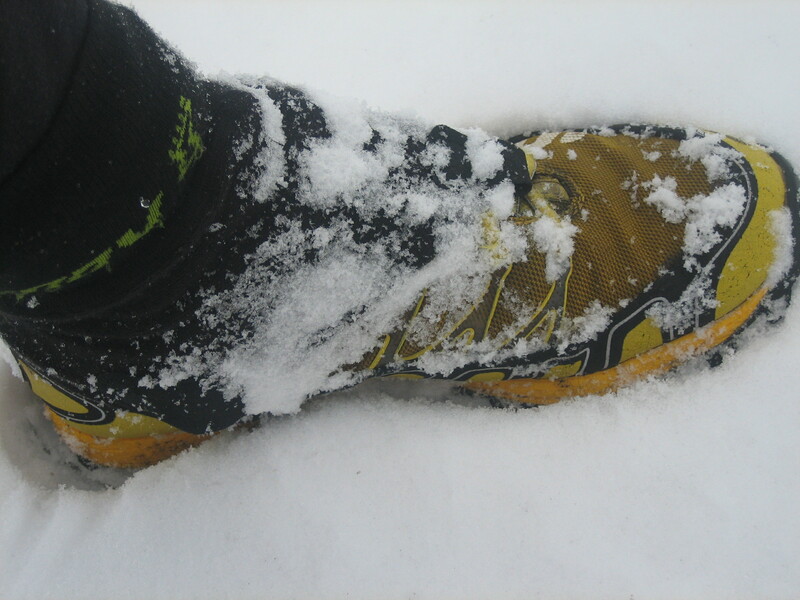 But winter running can be a joy. Some days sparkle like bright jewels glittering amongst the oppressive grey. Clear nights lead to crystal blue days and the first hard frosts bring firmer ground. 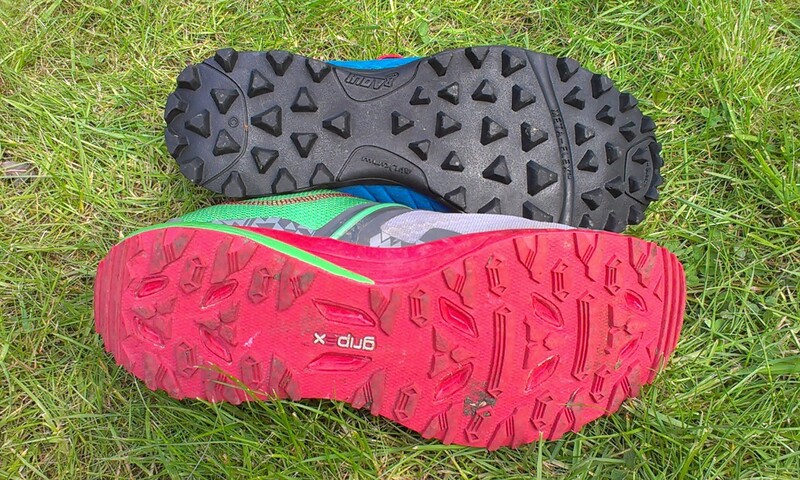 The crunch of ice crystals replaces the squelch of feet in mud. On high pressure days the air is still, sounds carry: the tinkling of the icy brook, the dripping as a weak winter sun thaws icicles on gritstone boulders, the frosty remains of the bracken expanding as they slowly warm. The landscape breathes. These are my favourite days, when piercing blue skies seem to overload the senses and the clear air brings the distant horizon into sharp focus. 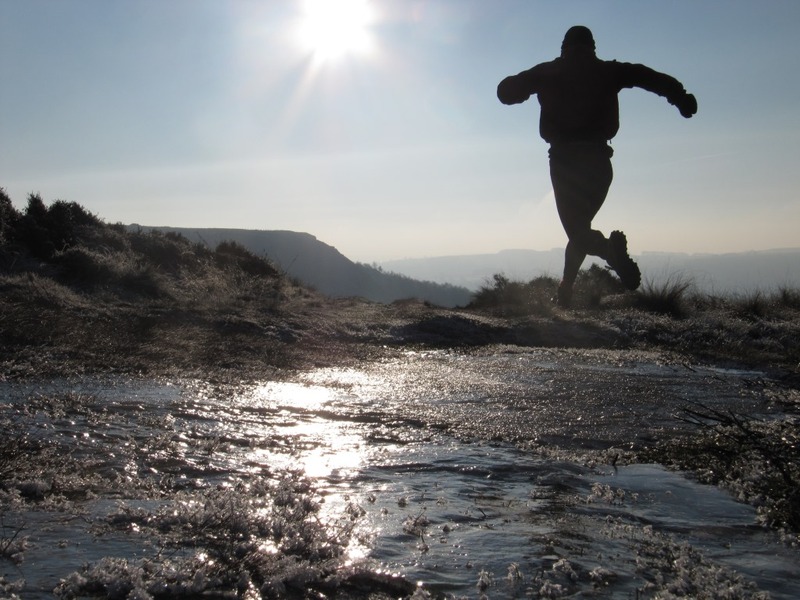 On such days I love to explore the remotest parts of the Peak District, making the most of the few hours of daylight to enjoy the solitude of the harsh environment. 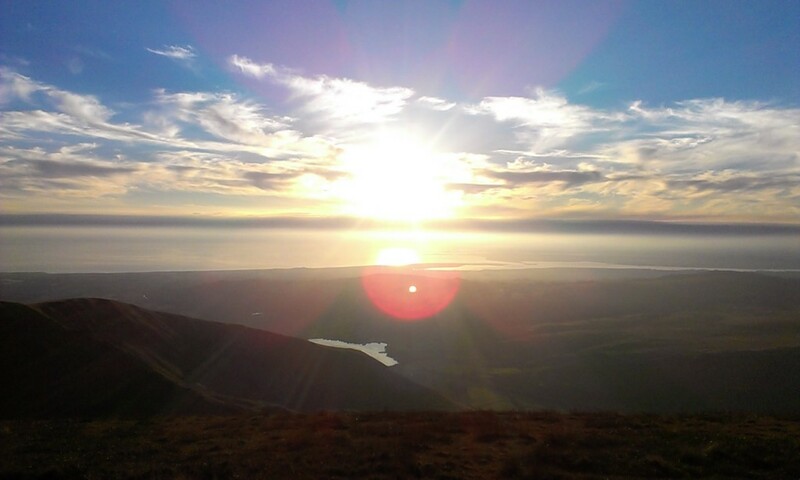 On some winter days a layer of cold air in the valley bottom condenses forming a sea of cloud. 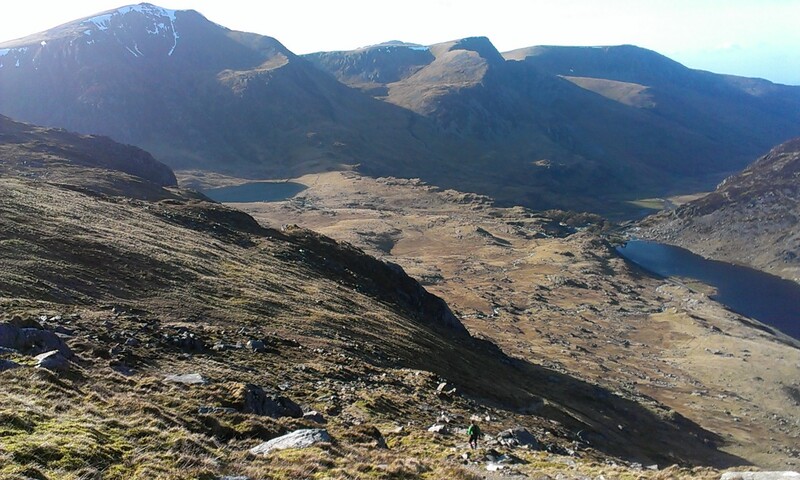 When conditions are right the hills above enjoy clear skies and sunshine whilst all below is shrouded in grey. It’s a joyful experience to emerge from the cloud into the sunshine and enjoy the colour and long winter shadows. 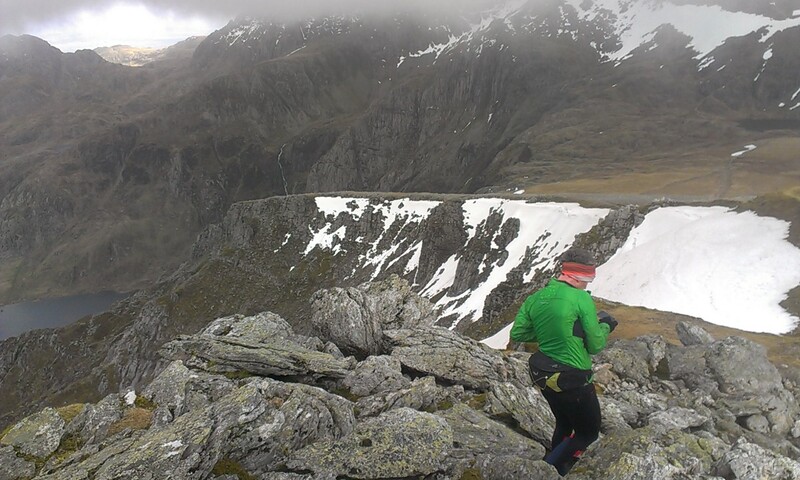 Even on cloudy days, there are rewards especially after heavy snow when running becomes a real adventure! Then the landscape softens, sharp edges are smoothed by the snow, paths disappear and what was once familiar takes on a different aspect. 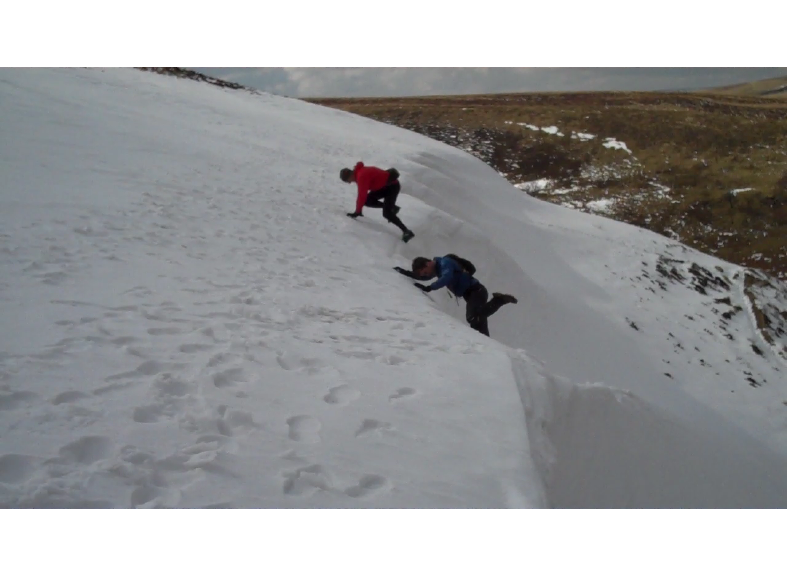 Somehow snow brings on a surge of youth, the urge to “play out”, to explore and experience adventure! The once tame trails of summer become a playground. 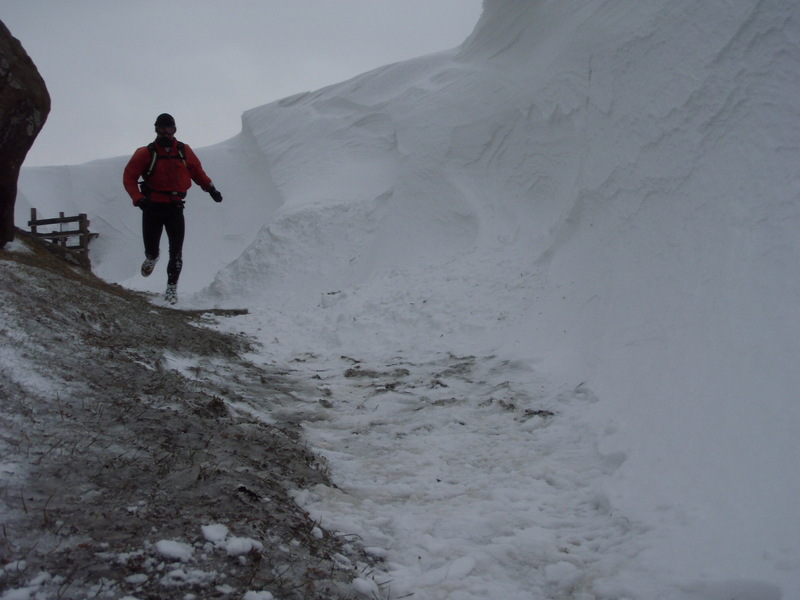 Nature offers up the challenge of running through deep snow and on ice. The challenge has to be accepted! 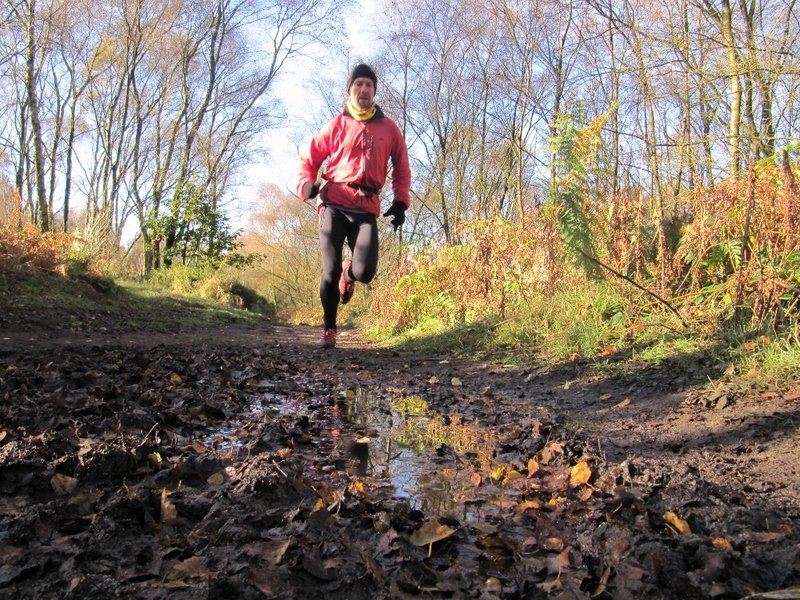 So whilst all is wet, windy and grey, running is done simply for training rather than for any other pleasure. But we can hope. 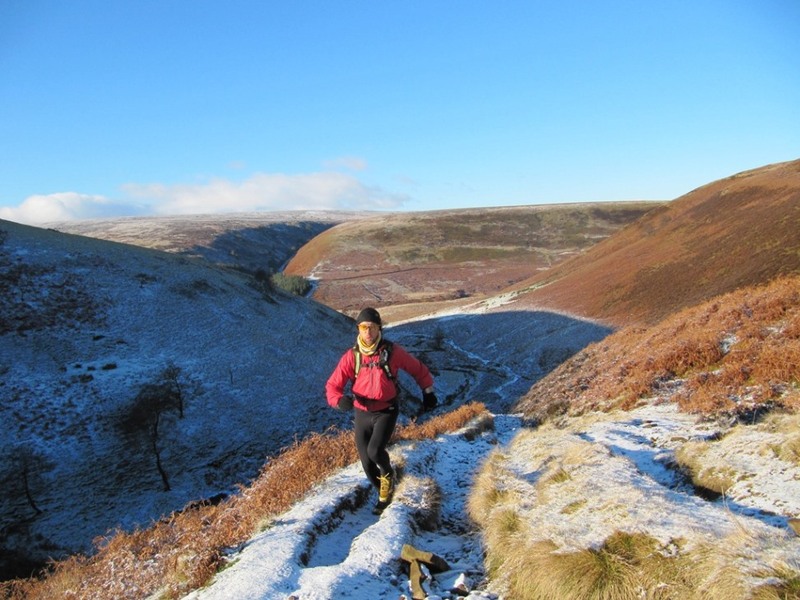 the joy of winter running – that’s what I’m talking about! 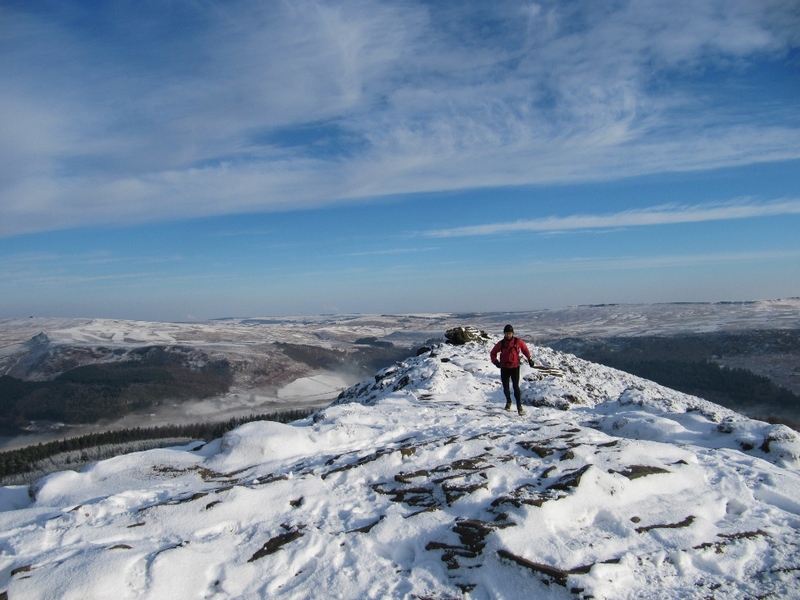 Winter is around the corner and maybe it will bring joy to running on the trails and fells. That’s what I’m talking about! 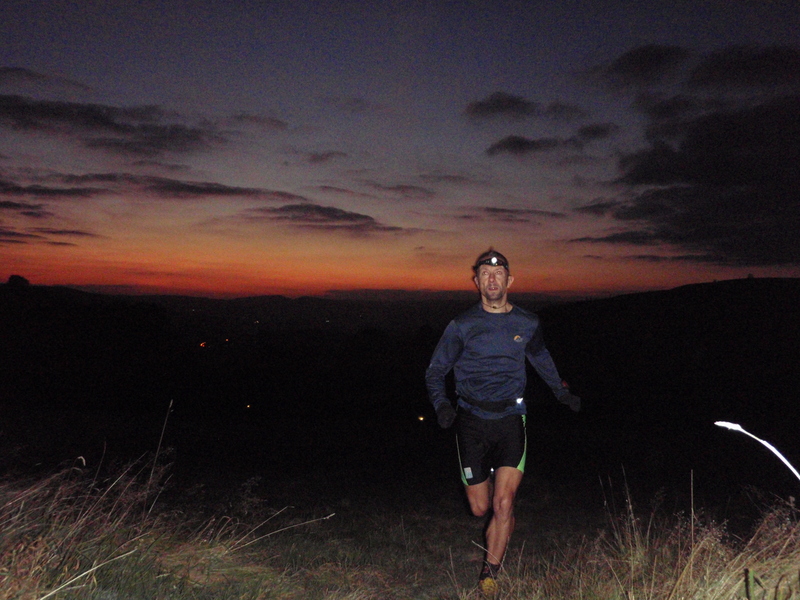 Trail running at night – don’t be afraid! I’m alert, senses heightened to the sounds and smells around me: an owl hoots away to my left, I notice the musky scent of fox and the damp, earthy smell of the newly fallen, autumn leaves. Emerging from the trees my eyes are drawn to the faint afterglow of sunset just visible on the western horizon whilst away to the east the moon, big and bright is rising from behind the hill into a small, thin patch of wispy cloud. 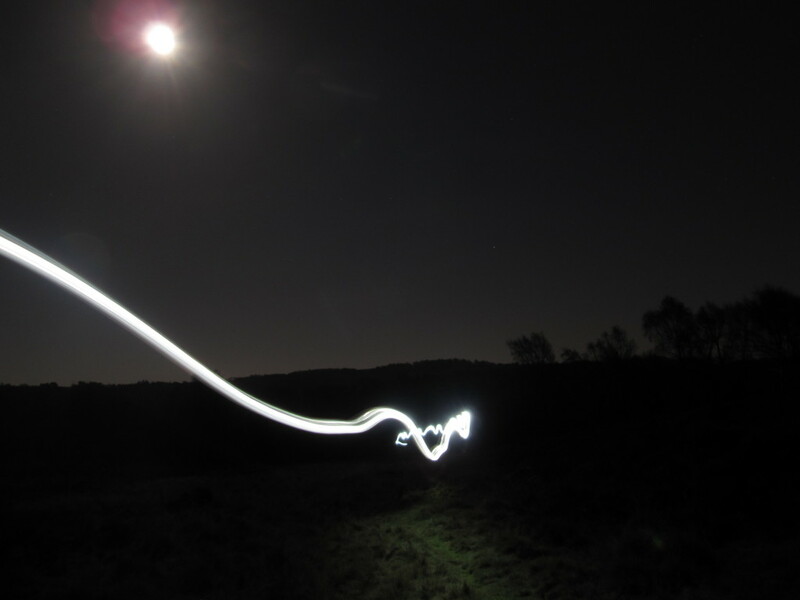 This is night running! 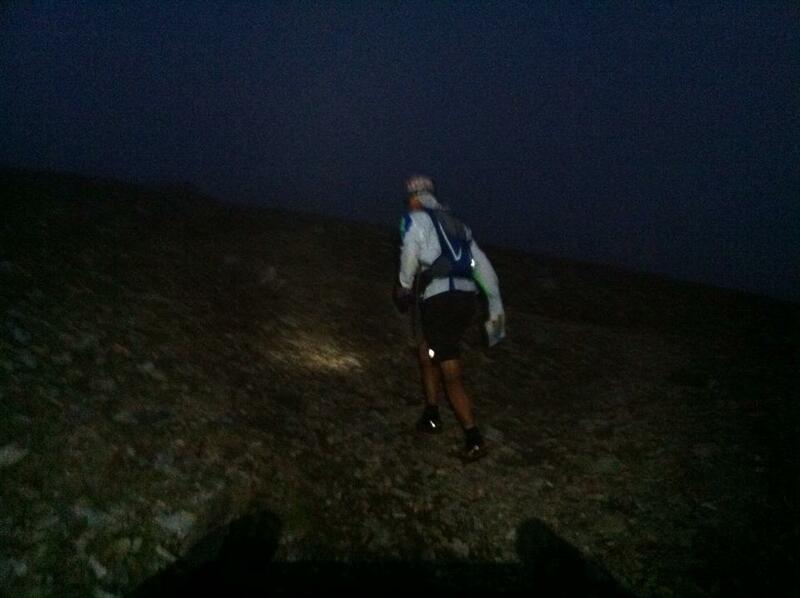 A small group of us are making the most of the darker evenings, just because it’s dark doesn’t mean you can’t run off road! Before the moon has chance to rise we turn our head torches off and look up. Almost all of the day’s cloud has dispersed and as we adjust to the darkness stars come out before our eyes. We take a few moments to share our knowledge of the various constellations before turning the torches back on and continuing on our nocturnal adventure. 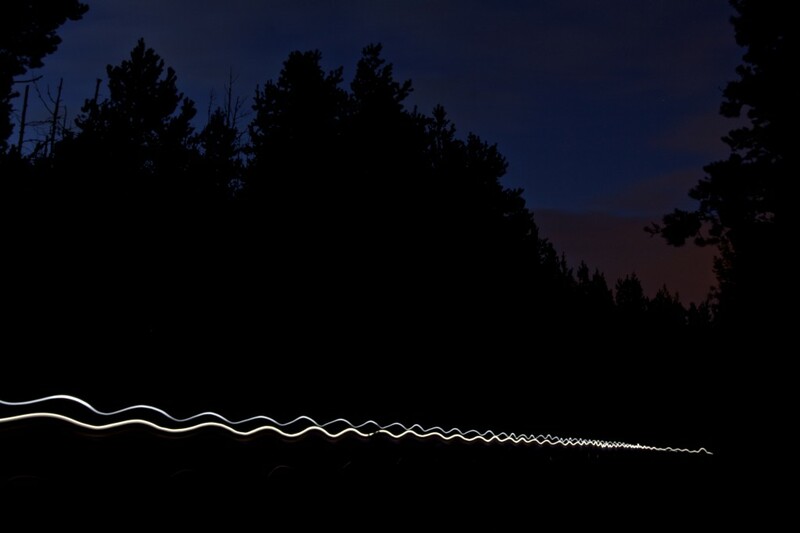 Back into the woods and several pairs of bright, pinpoints of light appear before us – we are being watched! But we have bravery in numbers and as we get closer the sheep look at us with curiosity as if to wonder what we are doing out after dark. Dropping down to the stream we notice the temperature change, our breath steams and a thin mist is just beginning to form in the colder air. Our ears deceive us, the stream sounds like a torrent when in fact it is barely shin deep. We don’t talk, the sounds of nature are enough: the stream, the snap of a twig underfoot, our breathing and our footfalls on the soft earth. Climbing back up to the moor we snake our way along the ancient hollow-way, cut out hundreds of years ago when men toiled to make a living from this land. As we emerge we turn around and see the moon again, risen now and casting its silvery light on the landscape. 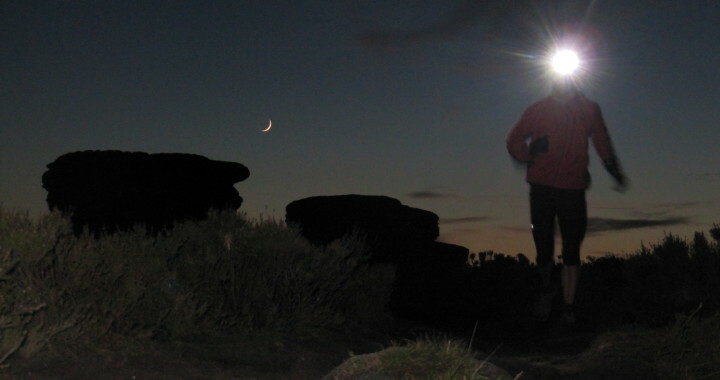 We head back to the road, to our cars, to our homes, but we will return to the wonderful landscape and to the magic of trail running at night. 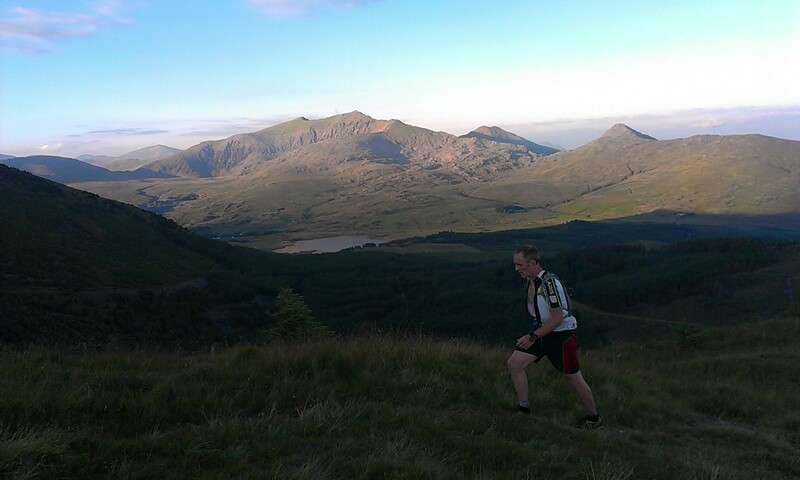 This year I’ve been lucky to experience some spectacular mountain running days in Snowdonia. 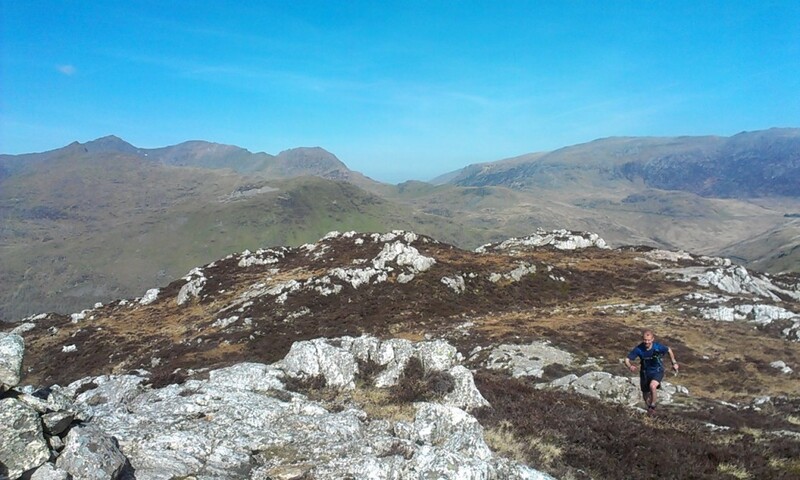 Time spent preparing for, supporting others on and completing the Paddy Buckley Round meant lots of trips to North Wales and fortunately some stunning days out in the hills. There are lots of reasons why the Peak District is a great location for fell and trail running. 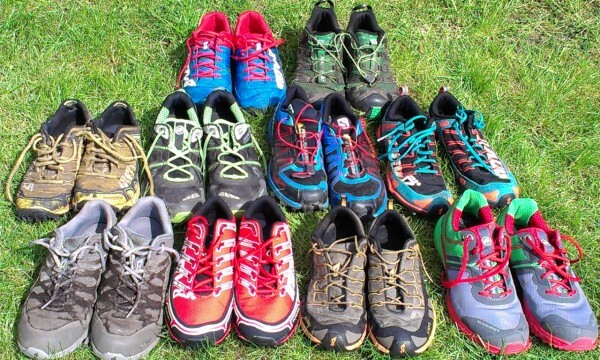 First of all there’s the scenery; from rough open moorlands to pretty limestone dales, each with their own flora and fauna and the stark contrast between the gritstone and limestone landscapes. 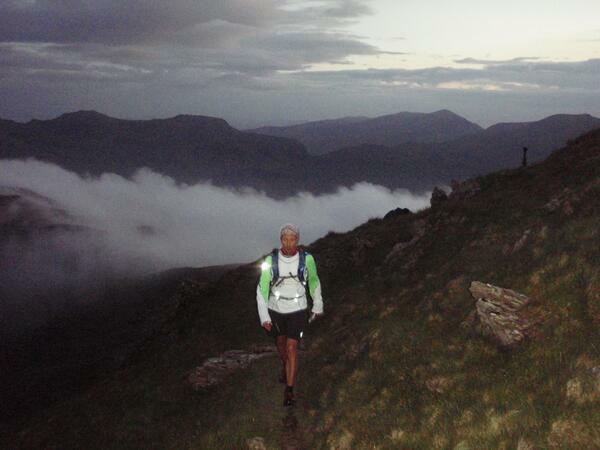 Then the variety; tough, steep hill climbs or flat routes around pretty reservoirs or along valley bottoms. 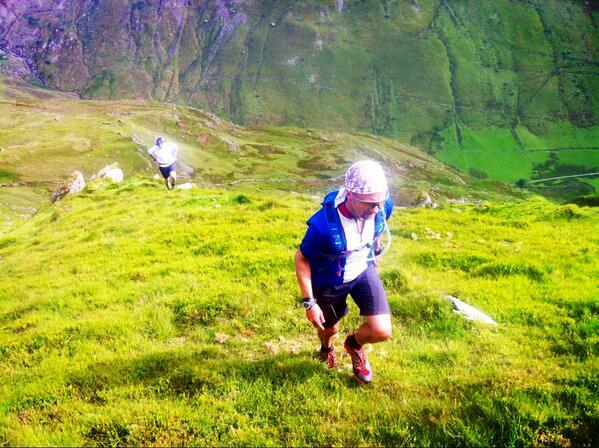 For the competitive runner there are beginner friendly summer races and tough, long, testing challenges. And all of this is easily accessible from the major road and rail networks. 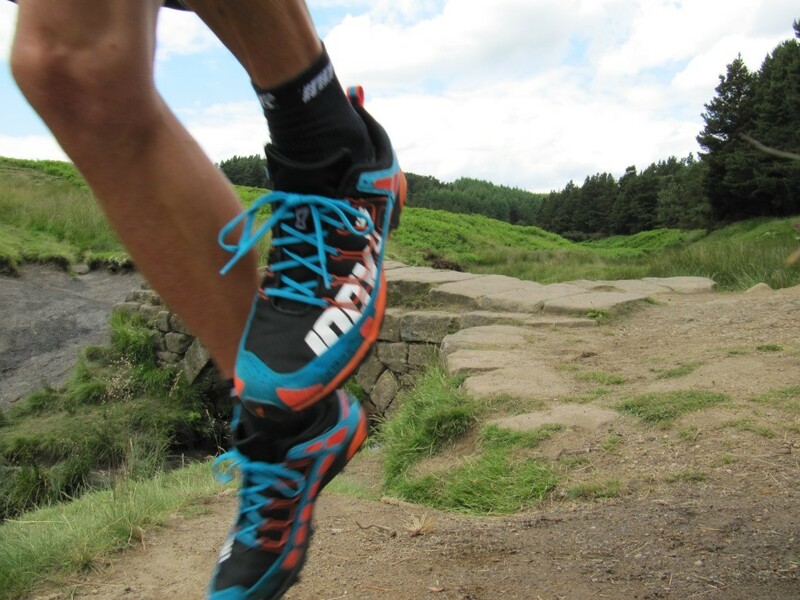 Have you tried fell and trail running in the Peak District yet?